WERE WALTON'S COINS REALLY SCATTERED ON THE HIGHWAY? ARTICLE EXPLORES: ARE BANKNOTES SEXIST? QUERY: ARE THERE ANY SEARCH SITES FOR OLD MAGAZINES? New subscribers this week include Kris Briggs of Stacks Bowers Galleries, Daniele Del Bo, and Jacob Lipson. Welcome aboard! We have 1,679 email subscribers, plus 245 followers on Facebook. This week we open with an update from David Sklow about his October numismatic literature sale, one new book and three reviews. Other topics include Thian's Register of the Confederate Debt, modern coin-making at the Philadelphia Mint, wrong planchet errors, electrum coinage, and the Museum of Historical Shares and Bonds. To learn more about Communion Tokens, Ephraim Brasher and the Brazilian gold, sculpting coins in Adobe Photoshop, the Lovers' Coin, and drunkards, fornicators and witches (oh, my! ), read on. Have a great week, everyone! 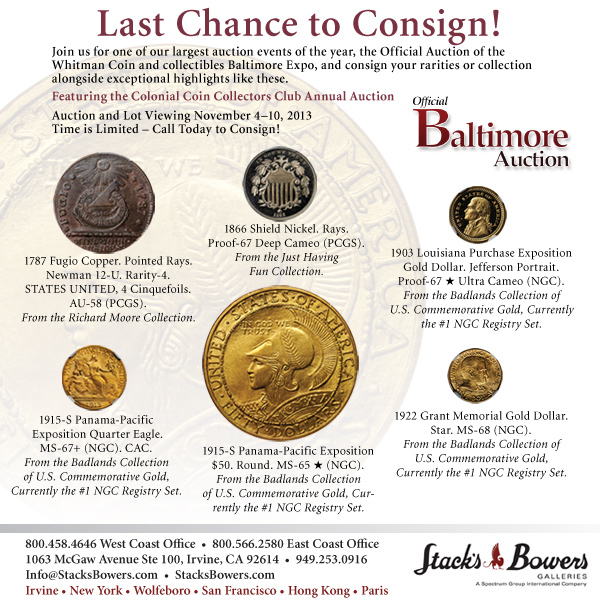 OUR 30TH ANNIVERSARY AUCTION AND OUR LARGEST CATALOG TO DATE! Several runs of the "Redbook"
Bidders may enter bids by mail, telephone, email or fax. The sale closes at 8pm mountain time, October 12, 2013, however, any bids left on our answering machines or sent by email or fax on or before midnight on closing day will be accepted. Dr. James Wiles, Ph.D. has recently released his newest E–Book, Ultra Modern Doubled Dies 1996 – 2012 based on the files and numbering system of CONECA (Combined Organizations of Numismatic Error Collectors of America). Dr. Wiles has been researching, cataloging, and attributing twentieth and now twenty-first century U.S. coins for CONECA since the mid 1990s and he has also written several printed books on many of the different denominations of modern U.S. coinage over this time period. For the past few years, Dr. Wiles has focused on publishing E–Books because they are environmentally friendly and they keep the purchase price of the E–Book affordable. Another added benefit of using this modern technology is that more digital photographs can be included showing the different stages and markers of the die varieties. 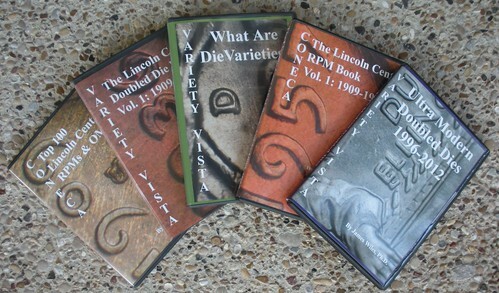 Dr. Wiles has now taken his E-Books to the next level by posting updates of the varieties and photographs on his website, http://www.varietyvista.com. When Dr. Wiles attributes and lists a new variety, reports a new stage of a previously listed variety, or gets a chance to post a better photo of the variety, he does so on the website. 1. Top 100 Lincoln Cent RPMs & OMMs published in 2007. 2. The Lincoln Cent RPM Book, Volume 1 (1909 – 1958) published in 2010. 3. What Are Die Varieties? published in 2011. 4. The Lincoln Cent Doubled Die Book, Volume 1 (1909 – 1958) published in 2011. 5. 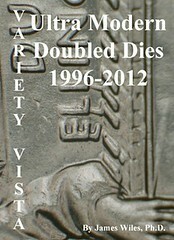 Ultra Modern Doubled Dies: The Single Squeeze Era (1996 – 2012) published in 2013. The Combined Organizations of Numismatic Error Collectors of America (CONECA pronounced: CÔ´NECA) is an international organization devoted to the education of error and variety coin collectors. CONECA focuses on all numismatic errors and varieties including doubled dies, re-punched mintmarks, multiple errors, clips, double strikes, off-metals and off-centers -- just to name a few. CONECA publishes an educational journal, Errorscope, which is printed and mailed to members bimonthly. The digital version of Errorscope is also available in the “Members-Only-Area” going back nearly ten years. CONECA offers a lending library, examination and attribution services. Members receive discounts on examination and attribution fees. Persons wanting to join CONECA should contact Rachel Irish by email at MRirish5@roadrunner.com or 3807 Belmont Road, Coeur d’Alene, ID 83815. The use of church tokens to denote worthiness is not unexpected. The press to separate the devout from the profane has always been of paramount concern. In fact, the word token is derived from the Saxon “tacen” or Gothic “taikns” and refers to a sign or mark of distinction. Consequently, the strict bestowal of tokens represented a convenient and reliable way to recognize the faithful. Church tokens used in this way provided some measure of insurance against infiltration by devious outsiders intent on deception, or worse, religious persecution. Like many authors, Shutty ended up writing the book he'd always wanted to read. While there are many other books on the topic, most are fairly specialized catalogs with long lists of tokens but little information for a beginner. His book fills that gap admirably. The first chapter ("Bits of Lead and Tin") discusses his first encounter with a communion token and subsequent search for more information about them. The chapter includes a brief overview of the primary literature on the subject. The next two chapters ("A Tradition Develops" and "Fencing the Table") describe the historical background and the actual ceremony of Communion. Chapter Four ("Molding and Striking") describes the primary methods of manufacture. Chapters Five and Six cover the churches and the towns they were part of. All eighteen chapters of the book are short and easy to read, with none being more than about 10 pages long. Chapter Seven is a closer look at the fields of collecting communion tokens, which includes another look at the primary literature and different organizing schemes (such as collecting communion tokens by date, place, style or shape). Each chapter from Eight through Fifteen covers one of these organizing schemes, including shape ("Squares", "Rounds", "Rectangles", "Ovals", "Odd Shapes"), place ("Canada", "United States"), and "Table Numbers". I wasn't aware of the last type of communion token, used for large ceremonies where table numbers are hand punched into the tokens. Rounding out the book are chapters on "The Token Marketplace" and "Caring for Tokens". 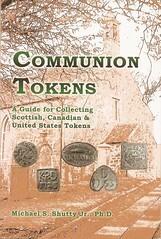 This 137-page book is an excellent introduction to communion tokens of the world. While being a book meant for beginning collectors of the series, it covers the material thoroughly. 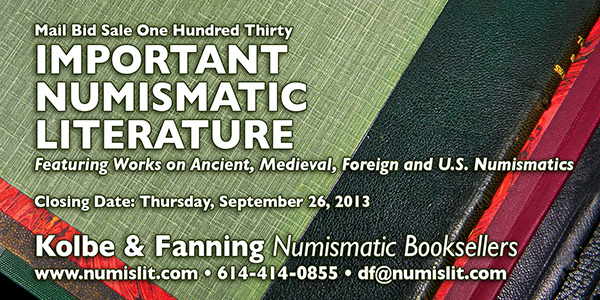 With a three-page list of References, it passes my back-of-the-book test for numismatic scholarship. In summary, Communion Tokens is good reading for anyone who's ever sat in a pew, and I would include synagogues, too: the early history of the Christian Church is one of persecution, and communion tokens were born of that stress. These little tokens are badges of both membership and worthiness, with something in common even with the challenge coins of today. I'm going to pass this along to my father-in-law; it's a book appropriate for lay readers as well as seasoned numismatists. I recommend it to E-Sylum readers. The numismatic heritage of Jammu and Kashmir more or less has remained unattended. A very little of this heritage has been studied by the British numismatists during surveys of 19th and 20th century. 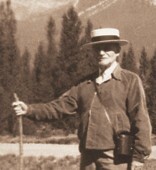 Alexander Cunningham was perhaps the first archaeologist and numismatist who under took the study of Kashmir archaeology. He is also learnt to have few coins of medieval Kashmir. He was later followed by other European missionaries like Rodgers. Lane Pole and Nelson Wright. But all of these scholars had remained stuck to medieval ages of the Kashmir numismatic history. Few local historians that include PN K Bamzai , GMD Sofi and Mohibul Hassan, also studied some Muslim period coins and incorporated them in their respective historiographies. Since centuries passed the numismatic heritage remained neglected as there was no body technically trained to undertake the scientific study of this significant heritage. 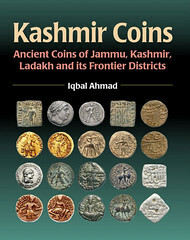 Iqbal Ahmad, noted Kashmir based archaeologist and author, became the first Kashmiri to undertake the numismatic studies of the state and published a monogram titled ‘Kashmir Coins’. In his first phase of research of this kind , Iqbal has made the first documentation of ancient coins and currency notes of the state available in his fresh monogram on ancient coins of the entire Jammu and Kashmir state and in its frontier Districts title. The archaeologist born at Parigam in the South Kashmir’s District of Kulgam has deciphered and studied thousands of ancient coins found in the state and kept in its various museums, coin collections and with individual keepers of Jammu, Kashmir Ladakh and of its frontier districts. Iqbal Ahmad, who has got the technical qualifications of investigating the ancient coins, has been engaged in the research and study of these coins for last one decade. Trained in numismatic studies from Indian Institute of Numismatic Researches, Nasik Maharashtra, Ahmad also learned classical Greek, Khoroshti, Brahmi, Sharda, Persian and Arabic alphabets to decipher the legends devised on these coins. He had deciphered a number of these classical legends on these coins and identified, chronologically, hundreds of ancient coins of Janaphada , Mouryan Greek, Scythian Parthain , Kushan , Kidara, Heptithlites . karkota, Shameri, Chak , Mughal , Durrani , Sikh and Dogra periods. 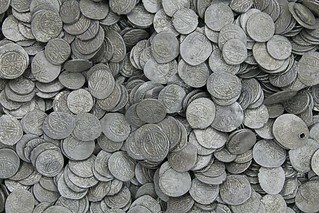 According to him the Punch mark coin in Silver bearing certain motifs has been the earliest among the un-inscribed coins of Kashmir stuck here during the Janapadha period dated ( 600-350)B C. Such coins, according to him, had been found at Semithan Bijbehara in south Kashmir and few such pieces of Punch Mark are also preserved in the numismatic cabins of the state museum at Lalmandi. The researches made by this scholar are incorporated in the monogram on Kashmir coins authored by this scholar and published by a reputed Delhi based publisher. This monogram carries illustrated documentation and identification of coins with descriptive notes on metallic analysis, typology, and weight standards. The monograms also carry the classification of various treasure troves found in entire Jammu and Kashmir State including the parts administrated by Pakistan. The noted author and archaeologist have already authored a number of books and research papers on Kashmir Art, Culture and Archaeology. Rosie was not just a riveter during World War II but she also worked at the U.S. Mint in Philadelphia making blanks for coins. Working in the blanking room at the U.S. Mint was not an easy job. It was hot, loud, and Rosie was confused. Even though she was supposed to feed a sheet of zinc coated steel into the blanking press, Rosie fed a sheet of copper. With the press of a button, 40 copper blanks were made. Rosie panicked. The president ordered that the U.S. Mint not use the copper for coins so it could be used for the war effort. Not knowing what to do, Rosie let the coins proceed to the next stations where they were washed and “pinched” to create rims keeping her fingers crossed that nobody found out. The copper blanks were fed into the press along with the zinc-coated steel blanks and thus was born Penny, a 1943 copper cent. 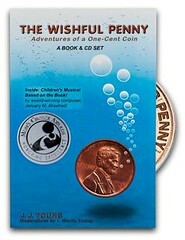 The Wishful Penny is the story of Penny’s adventure from her accidental birth, to an ice cream shop, across the Atlantic, back again, and how one wish made on Penny comes true. Written for readers in grades 3-5 with a story that can be appreciated by younger students, The Wishful Penny written by J.J. (Jennifer Jo) Young. The use of factual information makes the story more appealing. Forget the fact that I am some-number-of-many-years beyond the target age group for this book, it has the ability to not only teach the students but also the teachers who may have not thought about using coins as a teaching tool. If a teacher wants to use this book for classroom instruction, the authors offer a teacher’s kit that includes books, worksheets, discussion questions, activities, history tie-ins, and script with a CD of music to allow the students to perform the book as a play. I did not know what to expect when I agreed to review this book. But I was surprised how engaging it was even for a “vintage” person like me. Even though Penny ends up at less than an Mint State (MS) grade by the end of the book, I grade this book MS68 with a recommendation that if your young reader does have reading difficulties also purchase the audio CD. In fact, you may want to consider purchasing the teacher’s kit and donate it to your child’s school. Or for the classes looking to put on a play, why not consider the full-length musical with recorded music. It has to be a great idea for teachers needing new material! O NVMISMATA Nº2 (The Nvmismatist nº2) has been sent to the AVBN (The Brazilian Virtual Numismatic Association) members on Sept. 5th. The "Banco do Café" banknotes. Most articles are in Portguese, but the "Vermont State Coinage" article is in English. You can find out more about O NVMISMATA and the AVBN (and become a member with only US$10,00/R$15,00 per year) in www.avbn.net. I regret to inform everyone of the death of my friend Eric Von Klinger on August 22, 2013. Eric was CWTS member #0896, a charter subscriber to Coin World in 1960, and spent many years writing for that publication with the 'Readers Ask' column. He assisted me on the Literary Awards committee for the CWTS. I used to look forward to seeing Eric at the ANA every year. 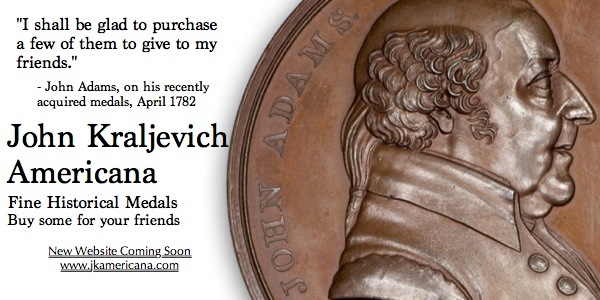 When he came down with cancer he ended up selling most of his collections as well as his numismatic literature. As the cancer went into remission, he regretted selling his books the most. He came to Maine 2 years ago and was in fine health at the time. 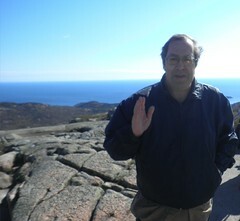 We went to Acadia National Park as well as some of the ports where he enjoyed seeing the old 'windjammer' sailboats. Eric was a wealth of information and a real nice guy. I feel honored to be considered one of his friends. Former Coin World staff writer Eric J. von Klinger died Aug. 22 after a lengthy battle with cancer. Born Oct. 8, 1946, in Wilmington, Ohio, Mr. von Klinger was the son of World War II veteran Joseph von Klinger, a pharmacist and lawyer, and Louise Valla von Klinger Kircher, a homemaker, both of whom preceded him in death. Mr. von Klinger, an expert and researcher in error coins, authored the Collectors’ Clearinghouse and Readers Ask columns during much of his six years on staff, from early 2002 to mid-2008. 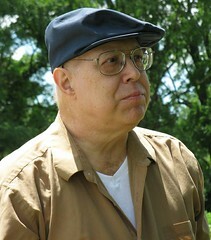 Prior to joining Coin World, Mr. von Klinger served in writing and editing positions at daily newspapers in Indiana, North Carolina, Ohio, Pennsylvania, Utah and West Virginia. He was also a veteran numismatic journalist. 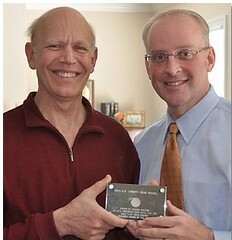 From 1993 to 1996 he served as an associate editor for Numismatic News and as a writer for Coins magazine. While growing up in Wilmington, Ohio, he got his first exposure to numismatics. When the Lincoln, Lincoln Memorial cent was first released in 1959, Mr. von Klinger’s seventh-grade science teacher brought a roll of the newly minted coins to the classroom, giving a cent to each student. An intrigued von Klinger remembered that his father had a bag of old coins, and he began examining those coins, beginning a lifelong hobby. His interests grew to encompass nearly every area of United States coins, early American coppers and tokens, as well as world coins. Mr. von Klinger was a charter subscriber to Coin World, which was first published in April 1960. Mr. von Klinger earned a bachelor’s degree in English from Miami University of Ohio, where he also pursued graduate studies in English. He was a member of the American Numismatic Association, Civil War Token Society, and Token and Medal Society. He is survived by two nephews, Mike (Jenny) Smuland and Matt (Phyllis) Smuland, and former wife Shawnee (Mark) Culbertson. A private graveside service was held at Sugar Grove Cemetery in Wilmington, Ohio. On 15-16 November 2013 a symposium on early electrum coinage will be held at ANS headquarters at 75 Varick Street, floor 11, New York NY 10013. There are 35 spaces available for this event, and early booking is recommended. Hotel room-blocks for participants are available at the nearby Hampton Inn Manhattan-Soho and the Washington Square Hotel. However, both hotels have cut-off dates. For the Washington Square Hotel, rooms must be booked by 11 September 2013 and for the Hampton Inn Manhattan-Soho, rooms must be booked by 14 October 2013. This symposium offers members and others interested in early electrum coinage to learn more about new discoveries in the field that shed light on a variety of questions surrounding the coins. For example: What are they made of, and how? When were they made, and why? What can they tell us about the economy and society of the people who produced them? he question of why, how and when electrum was used for the first known coins will be at the center of the discussion by a series of eminent historians economists and numismatists. The symposium will conclude with discussion to which all attendees are invited to contribute. The symposium will be accompanied by a display of electrum coins from the ANS cabinet. Coins from the ANS collection will also be available for examination. My name is Paul Torongo. I have been an on-again-off-again, amateur collector of coins my entire life. As a child, I naturally began by collecting the coins of my native United States. However, American coins never really appealed to me; I much preferred British coins, with their heraldic motifs. I thought the Queen Victoria "gothic" crown was the most beautiful coin I had ever seen. Back then, I erroneously believed that the medieval coins I saw in Seaby's Coins of England (1973) were only to be found in museums or the collections of the rich and famous. As I began to look around for a helpful book on medieval coins, it soon became evident that there simply was none. The collector is faced with a multitude of books very specific to a particular geographical area or type of coin. Most of these books are deep, scholarly works, written with the idea that the reader already knows a great deal about medieval coins. On top of that, most of these books are expensive and/or hard to find (see, for example, the new volume of Medieval European Coinage, which will set you back some $200). A simple, easy-to-use, yet informative guidebook for medieval coins did not exist, and so I decided to write one myself. So that's what I did -- it only took ten years to get it done. A book about collecting medieval coins is probably not destined to be the world's next bestseller, and so finding a publisher was no easy task. In the end, I decided on the Self-Publishing route. Probably the most well-known website to publish your own book is Lulu.com. I ordered a "test book" that had been printed by Lulu.com, but when it arrived I found the photographs to be of very poor quality. I contacted the author to politely ask if the poor photos had been provided by him, or had been degraded by Lulu.com. Sadly, I never received a reply (I hope he wasn't insulted), so I could not place the fault for the poor photos. 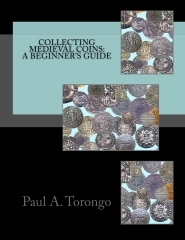 For me, this left Lulu.com out, so I moved on to Amazon.com's CreateSpace, which how I eventually published my book Collecting Medieval Coins: A Beginner's Guide in 2013. The entire CreateSpace experience had its ups and down, shall we say. I can certainly recommend this route to those who wish to publish a book, as long as you don't particularly care about earning any money from it. If you just want to get your book out there, CreateSpace is certainly a viable option. However, since no one has heard of CreateSpace, everyone will naturally be buying your book via Amazon. This means that when CreateSpace promises me $12.15 royalties for each book sold via CreateSpace and only $2.15 per book sold via Amazon, well I'm never REALLY going to get a $12.15 royalty, am I? It's like a carrot dangled before my nose. The very first thing Amazon.com did was to offer my book for $47.50, thus ensuring that no one would order the book for $50 from CreateSpace, thus further ensuring that I would never get a $12.50 royalty (uncomfortable feeling grows slightly). Within only two months, Amazon dropped the price to $15.48 (!). Now, since my $2.15 royalty stays the same either way, this would seem to be beneficial to me: a lower price means more sales, right? Right. Unfortunately, my concurrent self-promotion campaign was cut off at the knees. Look at the lovely entry in The Esylum newsletter for example. Would the reader and myself not have been better served by seeing a nice, low $15 price instead of $47.50? Too late now! The price of a CreateSpace "authors copy" remains about $28; this means it would be MUCH cheaper for me to order a copy for myself via Amazon.com. This seems very odd to me. I cannot understand how Amazon can sell a print-on-demand book for almost half the cost price and still stay in business. (Unless, of course, CreateSpace simply lied about the cost price.) And in case you're wondering, as of this writing my book sells on Amazon Germany for € 48, while it only costs € 15 on Amazon Italy. (Amazon UK price down from £35 to £23). No, I cannot explain it. The entire exercise of setting a price at CreateSpace seems to have been a farce. Other than the uncomfortable feeling they gave me, and the annoying confusion caused me by the inexplicable Amazon pricing policy, I suppose everything worked out fine. As long as I don't think about it too much. When I was doing research about John J. Ford, Jr., I inquired to the American Numismatic Association about the "Great Debate" tapes made by the ANA in 1999, and was told they were "missing". This includes the two made on Saturday, and one which was made on Sunday. I had attended the 1999 debate and had to leave on Saturday, so was unable to attend the Sunday session by John Ford; hence the inquiry. In the Ford/"Franklin Hoard" book, there is a section on the "Great Debate" (pgs. 755-761), and I did use the Saturday tapes which were in my library, to quote a passage between Harvey Stack and Ted Buttrey; along with the closing comments by Ford to Buttrey (both quoted in the book). I also presented an appeal for the return of the "borrowed" tapes to their rightful owner, the American Numismatic Association. I believe my research was the key in finding out these tapes were no longer available for review from the ANA, and also believe that Elizabeth Hahn was correct in her belief that the American Numismatic Society is the only numismatic organization that now has a copy of these tapes. The "Great Debate" tapes were not used to validate or refute anything Ford mentioned regarding the authenticity of the material. On Saturday, he kept silent until the very end and then only said a few rather libelous things to Buttrey. The John J. Ford/"Franklin Hoard" book was not written to authenticate or condemn any of the material, as it was primarily concerned on the objective presentation of the background issues surrounding the lengthy controversy. Today, Confederate Paper Money collectors hold Raphael P. Thian in the highest of regards. 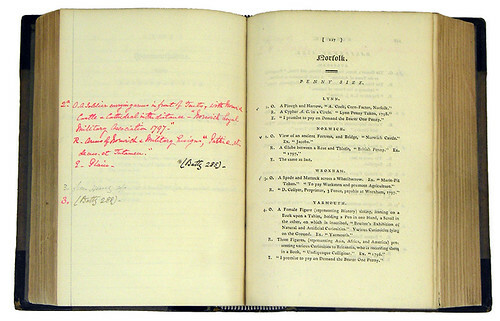 Specialists pour over the reprint edition of his Register of the Confederate Debt, and originals of that rare book sell for the tens of thousands of dollars. Thian’s Register is frequently mentioned on lists of “rarest” or “most important” numismatic works, and when a new example is discovered it rates a front-page story on the cover of Bank Note Reporter. He contacted cataloger Philip Chase, Duke University in Durham, N.C., and other parties he thought likely to be interested in such materials. Chase who was in the process of writing his own Confederate note catalog to follow up on his 1936 pamphlet was a particularly astute choice for Thian. Some of this material eventually came into possession of the Smithsonian Institution. According to the recently departed Smithsonian Numismatic Curator Dr. Richard Doty, who was a friend and colleague for nearly 40 years: “We have the two volumes (of Thian notes), plus correspondence between Thian’s son, P.E. Thian, and Philip Chase, mostly letters from Thian. Thian was selling Chase notes from time to time. All of this correspondence takes place during mid-February through early July 1945. 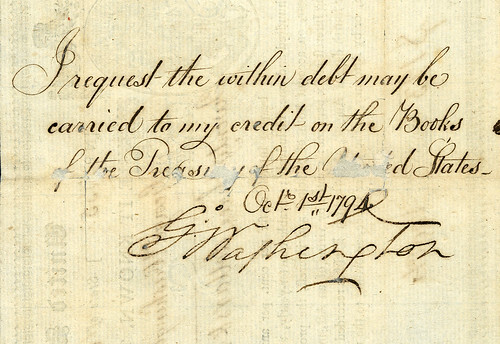 “The Copps Collection” of Colonial Stocks, Bonds, Documents & Fiscal Paper to be held in conjunction with the 3rd Annual Wall Street Coin, Currency & Collectibles Show. Worldwide Banknotes including an outstanding U.A.E. Specimen Set as well as hundreds of other rare and desirable notes. Banco de México will redeem all obsolete banknotes, issued by the Bank, and that are not used anymore in trade. For notes issued between 1932 and 1992, because of the hyperinflation that occurred in those days, the Bank will accept the note and redeem it in current pesos, that is, with three zeros less (a $10,000 peso note of those days will become $10 current pesos, or $100 pesos from those days, will become 10 cents). The notes from the New Pesos period (1992-1996) will simply be exchanged on a 1:1 basis (100 new pesos note from 1995 is 100 pesos from 2013). And taking about coins: coins in cents and pesos are legal tender for all PRIVATE debts as long as they aren't in excess of 100 pieces of each denomination (say, you can pay someone with 100 pieces of $5 and 100 pieces of $10). All government offices (taxes, customs, and so on) are obliged to accept coins in any amount (it would be nice, just to bother, to pay them with 20000 pieces of 10 cents). Aluminum planchets were once considered an alternative to copper for cent production by the U.S. Mint. Many collectors may remember the 1.5 million 1974 Lincoln cents that were struck in aluminum. The entire production was rejected and all coins were recalled. One specimen exists legally and resides at the Smithsonian Institute. A second specimen, known as the Toven specimen, is detailed in a story written in July 2005 by the late Alan Herbert for Numismatic News. Slabbed by ICG, Herbert suggests that it is likely worth several million dollars, if not more. Many mints around the world strike coins using aluminum planchets. It is always exciting to encounter errors struck on a wrong planchet and this article focuses on several having been struck on aluminum. British no date 50 pence coin struck on a 12 sided aluminum planchet weighing 0.8 of a gram. The first error is a 50 pence from Great Britain. A normal 50 pence from this time period is seven sided and weighs 8.0 grams. In 2007 I came upon this 50 pence struck on a scalloped, 12-point aluminum blank weighing 0.80 of a gram. After some tidy research I found a likely match. I believe this blank was intended for a 1c coin from Belize. 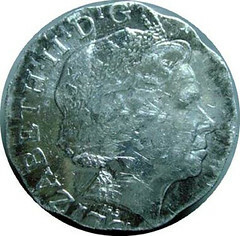 A normal 1c from Belize has a scalloped, 12-point perimeter and has a specification weight of 0.80 of a gram, an exact match for the weight of this error coin. British 2005 5 pence struck on aluminum planchet. The second error carries the design of a 2006 5 pence from Great Britain. This particular design began production in 1995 and continues to the present day. 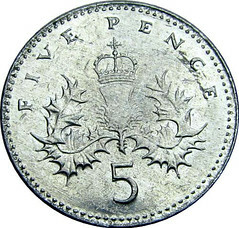 A normal 5 pence weighs 3.25 grams. This wrong planchet error weighs 0.70 of a gram and is struck on a circular aluminum disc. I have yet to determine which country this aluminum planchet was intended for. The dealer friend of mine assured me that indeed the piece was a silver plug and it belonged to an elderly woman who traveled to Europe in the 1960’s. There she befriended a man who gave her and her daughter each a silver dollar. Her daughter received a Seated or Trade Dollar which was long gone but she hung on to the Bust Dollar she was given until now. With her house needing mending she was deciding to finally sell it. Being wary of its veracity I gave him some diagnostics to check for on a truly plugged dollar visa-vis a repaired piece. The following week he called and said “it’s in my case”, so I whistled back up to the flea market where he sets up on Wednesdays for an in-person look. And sure enough not only was it truly a silver plugged dollar but also it was a very nice example of one. A Fine 15 or VF20 example with not only a silver plug but one of the most visual silver plugs I have ever seen. Unfortunately some light graffiti was scribed across the obverse “ W.H. Davis Elmira, NY”. 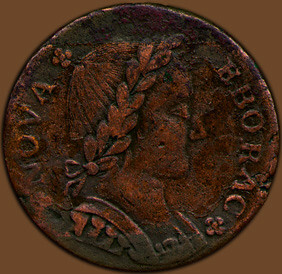 But the graffiti is contemporary, lightly engraved and has toned nicely with the natural patina of the coin. Interestingly, parts of the graffiti were scribed over the plug itself. After each planchet was individually weighed the heavy ones were simply filed into specification and struck as-filed, leaving behind what are known as “Adjustment Marks”. Examples of adjustment marks on early US silver and gold issues are ubiquitous. What to do with underweight planchets was a whole different paradigm, as augmenting weight is much taller task than grabbing a hasp and filing away a few grains. But examples exist, most notably on Bust Silver Dollars like my example shown, and to a much lesser extent Bust Half Dollars. The earliest known example is a 1794 Silver Dollar which recently auctioned off for a record $10 Million through a Stacks Bowers Auction. To date it is not known on gold issues. Augmenting weight on a single planchet was at the very least a cumbersome ordeal, a labor intensive procedure that by today’s manufacturing standards view would be considered simply laughable in scope. But in the early Mint days it is now known that underweight blanks would be re-directed to a Mint technician who would then pierce from the center of the blank a hole, measuring roughly 5 mm in diameter. At his disposal were various silver strips, all of thicker but varying gauges (thicknesses), allowing him a selection to punch a perfect plug that upon successful insertion would bring the planchets weight into specification. The same mandrel that was employed to blank out the hole of the planchet was employed to punch the strip used for augmentation. The technician would then manually insert the plug into the planchet, most likely with the use of a simple hammer. The thickness of the plug selected was based on how much underweight the planchet was—the more underweight the heavier the gauge strip selected. In some cases the plug is known to be just slightly heavier than the holed area. In other cases the plug is significantly thicker than the existing planchet. In these cases it is observed that after successful insertion the silver plug was then hammered down to lay flat with the planchet surface to accommodate future striking. 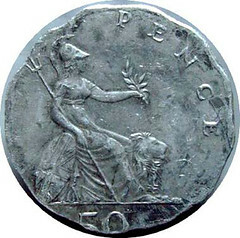 A plug that sticks well above the surface of the planchet would render it impossible to strike. There was a time when the silver plugged dollars of 1795 were considered an undesirable anomaly, a difficult sale to the collector—but no longer. In today’s market silver plugged dollars are in ready demand and bring multiples of the standard issue. The example was subjected to a number of metallurgical evaluations to help shed light on its nature. The results clearly showed that the silver content of the plug was virtually identical to the host coin itself, so the reason for the plugging was clearly not the fineness level of the host coin. A scan showing actual silver content of the area just left of the plug and then through the seam and into the plug itself is shown in the attached graph. 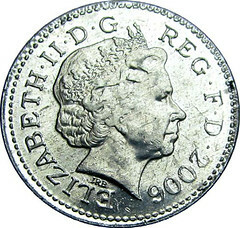 The large dip in silver content corresponds to the seam. We then subjected the coin to a 3-D X-ray imaging analysis, and although I do not have the images to share at this time the plug’s morphology is very similar to a rivet; the outside diameter of the plug being 10mm and the center core diameter being 5mm, suggesting a long plug was hammered into place to add weight to a light blank. Although the theme of this letter is not our beloved copper Indian or Flying Eagle, it is a great example of history, numismatics and researching coming together for a fascinating study. I write to set the record straight, hopefully once and for all, concerning the question of whether George Walton's coins were "scattered all over the highway" after his fatal car crash. It was widely, and wrongly, reported at the time that this was so; apparently numismatists aren't the only ones who don't let facts stand in the way of a good story. Many people's recollections are probably based on all of that inaccurate reporting at the time of Walton's untimely death. I had the great pleasure of interviewing Ryan Givens, Walton's nephew, back in February 2013 for the Heritage offering of his family's famous 1913 Liberty nickel. While others at Heritage had known Givens much longer -- particularly Mark Borckardt — it was a signal honor for me to get to know this modest, charming man and help the Heritage team relay his uncle's story in what we believe to be a faithful and accurate manner. George Walton's nephew, Ryan Givens, was interviewed specifically for this tribute to his uncle and his remarkable, storied nickel in February 2013. Givens said he believes his uncle was actually carrying around $90,000 worth of coins at the time of his death, and that the reported figure of a quarter-million dollars is an exaggeration. "The story grew in the telling, but it wasn't true." Givens said. "Even Uncle George wouldn't have carried that much around at one time. But $90,000 was a ton of coins back in 1962. And he had the nickel, which he didn't show all the time, but he had the nickel. It was recovered, still in its plastic holder." Police arriving at the scene identified Walton from a newspaper clipping and realized the coins were valuable. All of the coins he carried were recovered and impounded for the estate in a local bank vault. Most of Walton's coins, including many more that did not accompany him on his fatal drive, would be auctioned by Stack's. Unfortunately, later in 1962 the famous Walton 1913 Liberty nickel would be returned from Stack's, which had consulted with unidentified "authenticators" at the ANS who pronounced the coin a counterfeit -- incorrectly, as it turned out much later, in 2003. Givens added, "Another part of the story that is untrue is that the coins were scattered across the highway after the wreck. When the nickel was 'missing,' they would all go down where they thought the accident was and look around on the ground, because they thought it might be there. But according to the bank, none of it was scattered on the highway. It was still in the car." "It no longer passes from hand to hand, and the touch of the metal has been taken away from men's greedy palms. The little household gods, who dwelt in purses and stockings and tin boxes, have been swallowed by a single golden image in each country, which lives underground and is not seen. Gold is out of sight--gone back again into the soil. But when gods are no longer seen in a yellow panoply walking the earth, we begin to rationalise them; and it is not long before there is nothing left" (p. 291). Are banknotes sexist? Recently, the Bank of England has announced that popular novelist Jane Austen is to appear on the new £10 note. This followed in the wake of much controversy over previous news that Elizabeth Fry is to be ousted from the fiver. Since then women rights activists have been campaigning to celebrate more female achievements on our banknotes. You could point out that our notes do have a portrait of the Queen on all of them, but otherwise only one woman was featured at any one time. But how is it in other countries? Lets take a look, for example, at currency from our favourite holiday destinations. Most countries have no women represented on their banknotes at all. Out of the 14 countries listed in the table below only 11 per cent of banknotes include an image of a woman. It’s not as bad as it sounds though. Some designs like the Euro don’t include people at all, depicting famous architecture instead. A lot of countries also choose to use an image of their current leader. This includes the Chinese Yuan, Saudi Riyal, Russian Ruble, the Turkish Lira and of course our very own Pound. Other countries like the United States have chosen to print influential political figures on their notes. The dollar most famously depicts Benjamin Franklin, Abraham Lincoln and other founding presidents. To this day there hasn’t been a female US president and until that happens we probably won’t be able to expect to see a women on dollar bills. Of course, some feminists will rightly point out that since banknotes were introduced there have been women in our history whose achievements are banknote worthy. Look at Australia, for example. There are currently six females depicted on the Australian Dollar where there is only one note without female representation. In fact, most Australian Dollar notes have both a man and a woman on them. Now that’s gender equality for you! Two recent events bring this to the forefront. Actually, the citations to federal statutory sources are correct, and so are the examples cited – because they are examples of real-life cases that have been decided for the propositions stated. But they ignore the history of what legal tender mans, what in fact “legal tender” really means, and why laws about them were created in the first place. There are two constitutional issues that are useful to discuss what the words mean. First, is Article I, Section 8 of the Constitution, which provides "The Congress shall have Power ... To coin Money, regulate the Value thereof, and of foreign Coin, and fix the Standard of Weights and Measures...."
Next is from Article I, section 10, which reads, "No state shall ... coin Money' emit bills of Credit; make any Thing but gold and silver Coin a Tender in Payment of Debts...."
Courts have consistently held that neither of these provisions of the Constitution renders the country's current money system unconstitutional, staring with the Legal Tender Cases in 1884. Those cases involved the ultimate political gamble: creation of paper currency at the height of the Civil War, designed to fund the effort. Its inventor: Salmon P. Chase, Secretary of the Treasury. When accomplished, the federal government reportedly had three days in funding in its vaults; thereafter, it printed what it needed. Not without critics in its time, Lincoln knew that there was an ultimate Supreme Court battle shaping up; so, too, was there a battle over his Emancipation Proclamation. The legacy of his presidency depended on both being sustained, and when Chief Justice Roger Taney died, Lincoln nominated a known abolitionist, Chase, to both sustain the Emancipation and the greenbacks. In its original appearance before the Court, Chase prevailed in his view; the surprise is that he found his actions unconstitutional and in a close 5-4 vote, the Court agreed. By now it was the Grant administration, and he persuaded two justices to retire; their replacements switched votes on the reargued case, and the power to declare paper money a legal tender was sustained. Legal tender ultimately is the power of compulsion. It means that the government can require you, willingly or not, to accept a type of money that is tendered. That’s why state-authorized private banknotes were an ultimate failure and sold at discounted prices that were disparate. Over the years, there have been many challenges to what legal tender means; few recall that prior to 1857, foreign coins circulated freely in the United States. The act of Feb. 21, 1857, (ch. 56, 11 Stat. 163 ) determined that the legal tender of the Spanish pillar dollar continued but for other foreign coins, legal tender status was denied. Over the years, even recently, there have continued to be legal challenges to what constitutes a legal tender. In Foret v. Wilson, 725 F.2d 254 (5th Cir.1984), the Court dismissed the plaintiff's argument that only gold and silver coin may be constituted legal tender by the United States. In another case, Edgar v. Inland Steel Co., 744 F.2d 1276, 1277 (7th Cir.1984) the Court rejected as untenable plaintiff's argument that federal reserve notes were not "money" because they are not backed by gold and silver specie. The L.R. Nixon v. Phillipoff case (615 F.Supp. 890 (N.D.Ind.1985)) found that plaintiff's misinterpreted the Constitution, and held that the organic document acts only to "remove from the states the inherent sovereign power to declare currency, thus leaving Congress the sole declarant of what constitutes legal tender"). In another case, Baird v. Cty. Assessors of Salt Lake & Utah Ctys., 779 P.2d 676 (Utah 1989) the Court found that the Constitution is not a directive to states to use only gold or silver coins, but is "merely a restriction preventing states from establishing their own legal tender other than gold or silver coins". A more current and definitive case is Nemser v N.Y Transit Authority (530 NYS2d 493)(NY Co. 1988), where two public spirited bus riders in NEW York City brought a proceeding seeking a declaratory judgment that the policy of the Transit authority in refusing to accept dollar bills as bus fare violates federal and state law. (They lost that argument, too). The Judge, a respected jurist, did some research and found a 1911 Rhode Island case involving a street car conductor who refused to accept a $5 bill for a five cent fare. “That Court cited the "incidental power of a common carrier to establish reasonable rules regulating the time, place, and mode for payment of its reasonable charges",” Judge David B. Saxe wrote in his 1989 opinion. That misses the real point, though. The compulsion of legal tender is not that you get change – just that you have to accept what is tendered, and for a Court to hold to the contrary, I submit, is simply erroneous and ignores both the history of legal tender and its purpose. I made those arguments when the Nemser case hit the appellate courts (it didn’t do any good, two other courts affirmed the decision) in a friend of the Court brief that two large non-profit organizations filed. When the Coinage Act of 1965 was passed, it had an important clause that ratified the legal tender status of all American coins and currency previously produced (thus finally legalizing the trade dollar). In the hearing held June 4, 1965, Rep. Wright Patman, chair of the House Banking & Currency Committee, asked Treasury secretary Henry Fowler whether the coins being authorized “will have the stamp of the United States recognizing that ea coin is legal tender for all debts, public and private” to which Fowler replied in the affirmative. On page 20-21 of the hearing, Fowler was asked “if they have something owing to them, they are compelled by law to accept these coins” to which Fowler answered “Correct”. Money becomes a commodity; paper currency a medium of exchange. Chairman Patman clarifies “two points on the record” on page 32 of the same hearing. “all coins, all paper money are all of equal value as legal tender. You can pay a million dollar debt with copper cents if you want to. That has not always been true. You can pay any debt with 5-cent pieces or 25 cent pieces, and it makes no difference. It is all acceptable legal tender”. Congress and the drafters of the Coinage act of 1965 knew the history– Wright Patman, that old populist, certainly did – of how there were different rate and value for different coins – how prices were quoting gold coin, silver coin, federal currency, and local paper money. That’s what they wanted to avoid. Just by way of simple example, the New York Commercial Advertiser of July 10, 1863 reported that gold coin was at a 17 percent premium in paper, silver at 10 percent, and nickel at four percent. In “History of the Greenbacks” (1903)100 one cent coins (Copper) had a value of 55 cents in gold; in July, 1862, the paper value of dollars was 86.6 cents in gold, and the metal in 100 nickel cents was quoted at 63.5 cents in paper. If you could, would you sculpt using clay or a computer? United States Mint artists at Philadelphia have their choice, with some switching between the two mediums. It’s fascinating to watch gifted artists breathe life into models. 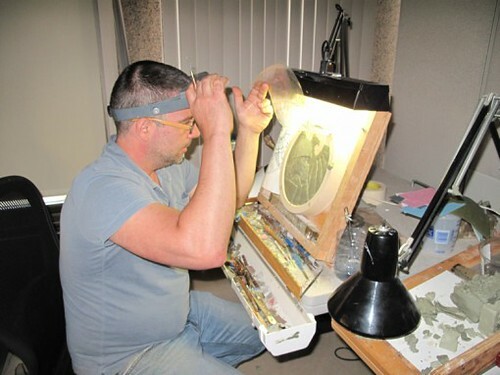 The folks at the Philadelphia Mint have been doing a lot of that lately, more than any other year, with 83 designs already sculpted for coins and medals released in 2013. It was a joy visiting with U.S. Mint sculptor-engravers Don Everhart, Michael Gaudioso, Joe Menna and Phebe Hemphill. They’re among the group of artists who take sketches and shape them into the models that are used to produce master hubs, master dies and working dies for striking coinage and medals. In traditional sculpturing, an artist with special tools captures the essence of a sketch in clay. We snuck behind Michael Gaudioso as he was using clay on a Ren basin to bring his Code Talker Congressional Gold Medal design to life. Ren basins are circular, have depth and act as a working foundation or template for sculpting. Digital sculpting requires the same mental artistry as the traditional method, but models take shape within computer software instead of on clay. 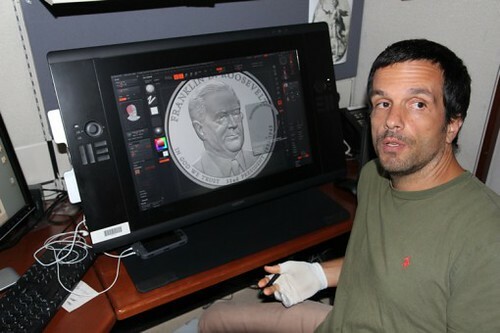 Joe Menna was the first full-time digitally skilled artist hired by the U.S. Mint, and was instrumental in making the Mint a world leader in digital coin design and development. Joe’s mastery over digital sculpturing is something to behold. We were a bit shocked to watch Joe sculpt in Adobe Photoshop® since we rely on this same software for simple coin effects within articles. Our use is at a kindergarten level compared to Menna’s seasoned approach. With stylus in hand, he demonstrated layering and showed how quick changes can be made to a digital model. While working, Joe discussed the team culture at the Mint, talking about designer initials on coins and how they don’t show the many hands needed to produce coinage. I acquired an interesting coin newspaper on eBay that I hadn't encountered before. 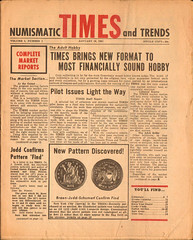 Numismatic Times and Trends for January 10, 1961 was Volume 1, Number 1, and it may be that there was never a second issue. 32 pages long, it appears to have been an attempt to emulate the success of Coin World, which was then just a year old. There's even mention of a pilot issue that was sent to selected dealers to gauge responses, a practice that CW had also employed. The publisher, William J. Gruber, stated that the newspaper would be issued on the 10th and 25th of each month. It was published in New Orleans, and the Managing Editor was Kenneth E. Pierce. In fact, there's not a single by-line that I recognize among the contributors, though dealer William Fox Steinberg was mentioned in one story. Hank Spangenberger ran an ad offering modern U. S. coins and proof sets, things not commonly associated with his later interests. The whole publication seems to have been geared toward the then-hot market in modern proofs sets and BU rolls, with investment being the main theme. This is a fun bit of hobby ephemera, and I'm wondering whether anyone else has encountered it or has knowledge of the persons who produced it. I've attached a photo of the front cover. I've been doing some research on counterstamps using a couple of websites that have large databases of old newspapers. The two sites I'm using are Fultonhistory.com, which has mostly New York City and New York State papers, but is expanding, and Newspapers.com, which has papers from all over the country. The former is free (although donations are welcome); the latter is not. I'm wondering whether there's something comparable with old magazines. Maybe some readers might know? The Schmitt family has spent every day of the last 13 summers searching for gold off the Treasure Coast of Florida. And it looks like their hard work sifting through trash in the Atlantic Ocean has finally paid off: They've just discovered a trove of gold that could be worth more than $300,000. It started with a single gold coin, spotted over the Labor Day weekend by Dale Zeak, a diver and friend of the Schmitt family. Zeak then spotted more coins and gold chains that he saved for 26-year-old Eric Schmitt, who brought them to the surface Sunday. 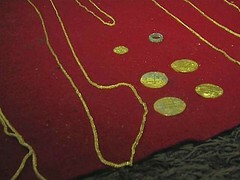 All told, the family's recent discovery included eight gold chains (weighing about three pounds), five gold coins and a gold ring. It's the biggest find the family has ever made, and they've been doing this a long, long time. Hillary and Eric's father, Rick Schmitt, learned to dive early in life and went on his first treasure hunt when he was a teen. After retiring and selling his pest control business in 1999, Schmitt decided to start a new company, Booty Salvage. "My dad wanted to share that experience with us kids," said Hillary, 20, who has been diving since she was 5 years old. She adds that there's something special about seeing gold for yourself in the water. "We love doing it. It's a family effort. ... Not only are we doing something that's really fun, we get to do it as a family. It's a pretty awesome experience." The family leaves the dock every day at 7:30 a.m. during the summer. They'll stay out on their boat, "Aarrr Booty," as long as the weather will allow, usually packing up by 5 p.m. to make it in before sunset. The latest haul by the Schmitts is likely from a fleet of Spanish ships that was destroyed by a hurricane while returning from a voyage to Cuba in 1715. All 11 ships in that fleet were wrecked, according to Brent Brisben, owner of the 1715 Treasure Fleet - Queens Jewels. His company has the exclusive rights to salvage the remains of that fleet, and he subcontracts the work to several individuals and families, including the Schmitts. Great Britain is minting a new 50 pence coin to commemorate the centenary of the birth of composer Benjamin Britten. 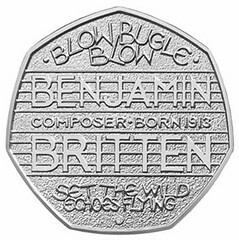 Engraved on the coin are poet Alfred Lord Tennyson's lines "Blow, bugle, blow, set the wild echoes flying," which Britten put to music in the Serenade for Tenor, Horn and Strings. The design, by coin sculptor Tom Phillip, also shows Britten's name, framed by a double stave in recognition of his virtuosic piano skills. It is said to be the first time a person other than the Queen will have their full name featured on a 50p coin. The Royal Mint said the coin will be available to collectors on September 27 and will go into general circulation on November 22. 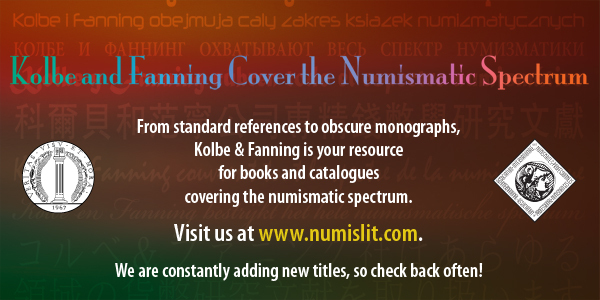 Books and literature for coin collectors. Free shipping on orders over $50. Ex Thomas Egerton Tatton, with his signature and bookplate, and annotated in his hand. A landmark work. 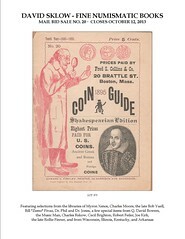 Conder’s Arrangement was the first substantial text book on eighteenth-century English tokens and was dutifully honored by having the series named after the author. It remained the standard catalogue on conder tokens until it was replaced by Atkins a century later. Tatton’s notable collection of tokens and coins was sold by Sotheby’s, 6–7 November 1911. Ex David Litrenta library. The preferred French edition of this magnificent classic work, first published a few years earlier in Dutch. Indispensable and still the standard reference on historical medals issued from 1556 to 1716. 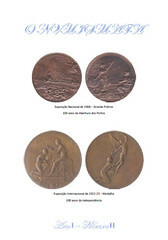 It remains a key source of information on European medals issued during this period relating to America. Clain-Stefanelli 14855*. Cumont 2086. Engel et Serrure 4341. Grierson 265. Lipsius 235. It looked like any other 2,000-year-old coin on the day they dug it up. Covered in two millennia's worth of rock and soil. Shrouded in mystery from a time so long ago that the Romans hadn't yet fully built their empire. In other words, really, really dirty. So dirty that the person — most likely a college student — digging last summer at the Israeli site of a longtime University of Nebraska at Omaha archaeological dig couldn't see the famous faces on the coin. So dirty that the digger never realized she was, in fact, holding a tiny, priceless nugget of ancient civilization in the palm of her hand. The face staring back at him: Cleopatra, the last pharaoh of ancient Egypt, the mother of two Roman leaders' children and one of the most powerful women in the history of the world. He flipped it over, and there was Marc Antony, the Roman politician who happened to be one of Rome's two most important rulers at the time the coin was minted. 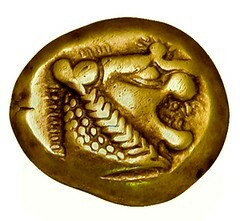 The Lovers' Coin, as its known, turns out to be as rare as Cleopatra herself. Three were known to exist in the world, according to Dr. Greg Jenks, an Australian theologian and archaeologist who has worked at Bethsaida. 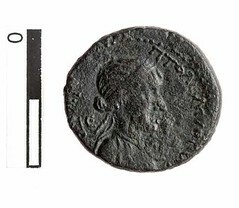 Experts say the coin was minted in Ptolemais, an ancient town 50 miles from Bethsaida, and put into circulation around 35 B.C., the year Marc Antony decided to move himself and a power center of the Roman Empire to Egypt. “EXTRAORDINARY MERIT!” Get your copy of Karen M. Lee’s award-winning (2013 Numismatic Literary Guild) Private Sketchbook of George T. Morgan, America’s Silver Dollar Artist. 192 pages, coffee-table. Order online for $29.95 at Whitman.com (or call 800-546-2995). To commemorate its ten-year anniversary, the world’s most prominent collection of historical securities is presenting a new type of exhibition: one of modular design that invites visitors to look at the world of securities from different perspectives. In future, a two-part permanent exhibition will bear witness to the origin and spread of the joint stock company as well as explain how financial instruments function. This will be accompanied by a special exhibition that examines subjects of relevance to society, which this year takes the form of the globally networked nature of business. The anniversary exhibitions will feature 140 selected securities spanning the period from the very beginnings of the joint stock company to the present day, all displayed in an area of 300 sqm. Detailed explanations provide background information and outline the importance of each of the exhibits. 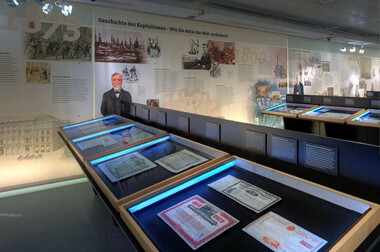 In summer 2003 Wertpapierwelt – the Museum of Historical Shares and Bonds – in Olten became the first international museum of its kind to make the world of shares and bonds, not to mention their influence on economic history, accessible to the public. Using historical securities – relicts from a bygone past – the museum illustrates how they interrelate and shows in a generally understandable manner how shares and other financial instruments have always influenced our economy. While the first part of the permanent exhibition is mainly given over to helping us gain an understanding of the technical and legal aspects of securities, the second part provides us with a thrilling insight into the economic, technological and societal developments that we have witnessed since the invention of the joint stock company in 1602. The share has had a lasting impact on our present world as an instrument that has financed our society’s progress in the last 400 years and served as the basis for the spread of capitalism. 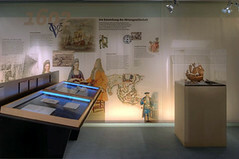 Thanks to its new modular exhibition design, Wertpapierwelt – Museum of Historical Shares and Bond – meets the expectations of all those visitors who want to just find out more about securities, their history and stock exchange trading. By combining the permanent exhibition with a current issue, a connection is established to our own experience that demonstrates how old shares and bonds are in no way dusty relics of history but have a message for developments in our current times. Anyone who would like to find out more after viewing the variety of the securities on display can satisfy their hunger by taking a seat at a fictitious trading workplace set up on two PCs with access to the collection’s database. The database contains both the fronts and backs of all the approximate 10,000 securities in the collection, and represents a unique archive of historical securities. A catalogue is available for the permanent exhibition with illustrations and explanations of all the securities on display, while a separate illustrated accompanying brochure takes you through the special exhibition. English-and French-speaking guides are at your disposal in the museum. The museum’s picture database encourages you to browse through the collection of the collection’s 10,000 historical shares and bonds. Depicted on the front of the coin is a portrait of the Cook Islands’ official head of state, Queen Elizabeth II. 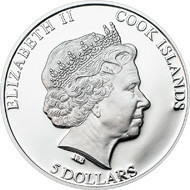 Her name, Elizabeth II appears along the rim, as does the name of the issuing country, Cook Islands, and the nominal value, 5 Dollars. 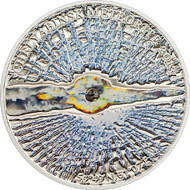 The reverse of the coin features a coloured image field: A small fragment of the meteorite has been incorporated in the middle, surrounded by a coloured streak of flame running from left to right. Running above and below, from the middle towards the edge, are blue, irregularly broken stripes that represent shattered glass. The words Chelyabinsk Meteorite 2013 appear along the upper edge, and below, the geographic coordinates of the impact point: 54° 49' N, 61° 07' E.
Baldwin’s Auction 83 will be held on the 24th of September, at the CIPFA Conference Centre, London, in conjunction with Coinex 2013, the UK’s premier numismatic exhibition. The 1383 lots comprise an array of high quality Ancient and World coins and medals from around the globe, and include a stunning selection of coins from Antiquity representing an important numismatic, cultural and artistic era. This auction is sold as part of a three day Baldwin’s auction extravaganza alongside The David Fore Collection of Indian Coins (Part three) and The Arielle Collection of British Colonial Coins (Part One). The auctions will take place in London during Coinex 2013, on the 24 – 26 September, at the CIPFA Conference Centre, Robert Street. Catalogues are available online at www.baldwin.co.uk. WORLD COMMEMORATIVE MEDALS. USA. 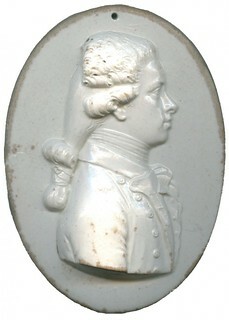 Lou is-Marie, Vicomte de Noailles (1756-1804), French General and Politician, who served under Lafayette in North America and negotiated Cornwallis’s surrender after Yorktown in 1781, Wedgwood Creamware Portrait Medallion, c.1790, bewigged bust to right, tied in a queue, 87.5mm x 66.5mm, stamped WEDGWOOD on back (Reilly & Savage, 1973, p.260, “previously unrecorded”). Made with a small piercing to the top (a slight chip where it penetrates the back), much as made and exceptionally rare . 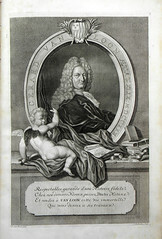 De Noailles, the second son of Marshal de Mouchy, had served in America with Lafayette, his cousin and brother-in-law. He fought with d’Estaing at Savannah, and was present throughout the Yorktown campaign in Virginia where he was entrusted by Washington to be one of those who negotiated the terms of the final surrender. Following his service in the American Revolution he returned to France and was elected in 1789 to the States-General. He presided over the Constituent Assembly in 1791 and proposed the abolition of titles and liveries of the nobility. Noailles fled to America (by way of England) when the reign of terror started, where he became a wealthy partner in Bingham’s Bank in Philadelphia. He left the bank to accept a command against the English in San Domingo. He was sailing for Havana in Cuba when he encountered a British man-of-war. Although he won the action, he was shot in the chest and died shortly after reaching Havana. The cataloguers are unaware of any metal medallic portraits of de Noailles, nor have they been able to trace any other examples in Creamware in public collections.